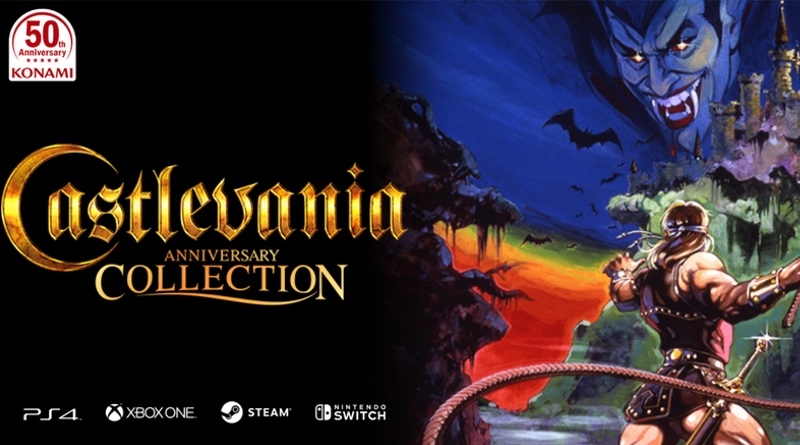 Konami is celebrating its 50th anniversary this year and has announced that the Castlevania Anniversary Collection is coming to the Nintendo Switch “Early Summer 2019”. They note that this is the FIRST Castlevania Collection and it will focus on the origins of the historic franchise. In other words, it sounds like we could be in for more collections with other games from the franchise in the future. Let’s hope so! So far only four of the eight games have been announced: Castlevania (NES), Castlevania III: Dracula’s Curse (NES), Castlevania II: Belmont’s Revenge (Game Boy), and Super Castlevania IV (Super NES). We’ll have to wait and see what the other four games are, but it would be very odd for them to not include Castlevania II: Simon’s Quest and the first Castlevania Adventure game on the Game Boy since we’re getting the originals of both series. The collection will also contain an eBook as part of the eShop package that should show off some behind the scenes information, sketches, art, interviews, and more!